Dear Gy, Today I will talk about Firgun. The first time I came across this term, I was struck by the nuance in its inflection. I said it over and over, letting it roll around my tongue. You may not have heard it, because it’s not from English. Rather, it’s from Hebrew. But the beauty of the word is nothing compared to what it means. That’s right. It means to be genuinely happy for the accomplishments of another. That feeling envelops you when you least expect it. It overwhelms you and fills your heart with so much joy that you can experience the happiness bursting through. I first came across this word late last year and even wrote about it on Twitter. It was around this time that I was able to feel a conscious shift in my outlook towards people and life in general. You may not know this but I went through a brief phase when I felt jealous of other people and their success. I would feel bitter that other people were publishing books or climbing the ladder of success but I seemed stuck where I was. No, it’s not something I am proud of, but I’ve always been honest with you and I don’t ever want that to change. So what did happen? How did I move from bitterness to Firgun? Ah, now there’s a tale. Around early November last year, I began to do something. I began working extra hard on my blog. In this period, the joy that came from the work was enough to keep me mentally preoccupied. It left little or no room for anything else, leave alone jealousy. While I did this, I realised the amount of effort that goes into making something like this happen. And a shift occurred. Now when someone posted about their success, I would feel immensely happy for them. I knew how hard they must have worked to make it happen. I cheered them for their joys. My heart swelled with pride that I could call them my friends. Their joy became my joy. And the best part? They returned the favour! You know about my laptop burning, right? And how upset I was about it. Added to that, I also thought I’d lose my book’s draft. My friends rallied around and insisted that I should check for the backup. Six weeks later, when I checked and found the backup intact, I was over the moon! Heart bursting with gratitude, I shared about it on Facebook. My dear Gy, you should have seen the Firgun that day! Friends, acquaintances, family, strangers- over 100 people came forward to say that they were happy for me. And knowing people the way I do, I knew that this was genuine. I could tell that they were thrilled for me. Even now as I type this, I have tears filling my eyes when I think of the kindness in my life. I’ve seen you practising Firgun without even realising it. When you say this, I search your face and your tone for disappointment, but I see none. I look for a hint of envy, but there isn’t any. All I see is the immense thrill you have for another’s success. In all of this, I see the innocence in you. It’s free, genuine, unclouded by the petty jealousies and vanities we learn as we grow older. You, my child, have Firgun and lots of it to spare. And I hope you never, ever lose it. Stay happy. For yourself and for others, this may be the best gift you can ever give. After all, it costs nothing but means everything. *Did you know? There is an International Day of Firgun and it falls on July 17th! Plus, there is something called the Firgunator. Generate a compliment for a friend today. So true Shailaja Firgun is a thing we all must to incorporate in our lives, teach ourselves first and then to our little ones. I sense so much peace in you as i read this post. A calm collected person typing out this post. And thats what We all must learn to achieve, peace of mind and happiness in what we do and a sense of appreciation for anothers efforts. Thank you, Ramya 🙂 It’s wonderful to feel happy for others. Learning to do that has helped me so immensely, I can’t fully explain it. I agree with you Ramya . The post radiates peace and poise!! What a beautiful word with such a profound meaning. It’s a wonderful feeling to feel genuine happiness for others. Indeed, Anshu. I am glad I learnt about it too. Let me tell you how awestruck I am with this post, Shy! To feel genuinely happy for others, for the success others enjoy, especially when you haven’t reached the spot you covet…that really makes you a ‘sorted’ person, isn’t it? We all have our Lives planned out for us, and that’s how things will unfold. Realising that, finding happiness in what we achieve and finding contentment in that is what will really make us happy. And, experience Firgun. Thank you so much, Shilpa. I’ve been meaning to write this post ever since that draft retrieval happened. Not sure if it makes me a sorted person though. I still have a long way to go. The good thing is I have a lovely young teacher right by my side who shows me how it’s done. What better than that, isn’t it? I love this concept! It is so beautiful. And, it is exactly what we are trying to teach our daughters. Our empathetic daughter does this well. Our competitive daughter “knows” she should be happy for the success of others, but recognizes she struggles with it. So, how do we teach it? Begin with empathy? Model it? Observe it? Thanks for introducing me to this word. Now to figure out how to pronounce it! Thanks, Ashley 🙂 I love the idea of using empathy to model the behaviour. Kids learn by observation than instruction. So if you could consciously show more enthusiasm for another’s win perhaps she will pick up on it. This is such an emotional and uplifting post. Beautiful thoughts. A letter to cherish. Gy is an amazing kid. To understand so deep yet simple a thought so soon in life is really nice. A lovely word to remember. Yes i have felt this emotion. But very rarely. And it overwhelms when we are not even ready for it. A unique word this and a quality all must try to emulate. So proud of Gy for feeling proud of her friends’ accomplishments. For a child that is immensely mature. In since ways, it is also driven by parents and their reactions. And hence you must take some credit for it as well. Recently I saw this firsthand with the older son. I saw his friends genuinely felt good for each other and cheered each other for marks. I saw his genuine happiness when some friends scored high. I think it is a very important quality. Jealousy is pointless. Instead others’ success should motivate us to strive harder. A great lesson for children and adults alike. So true. Others’ success should motivate us, I agree. Kids seem to get it from observation and so on instinct I think. Thank you so much, Rachna. I love that there is a name for it! I’ve always been a cheerleader for others, but have experienced a lot of the opposite. Some of my friends didn’t like the fact that I became a blogger and writer. It was tough. One of them still isn’t capable of Firgun. Too bad! Knowing you I can just imagine you as a champion of Firgun. You’re always so helpful and positive! Hugs! and as for the ones who can’t handle your being a blogger and writer, well, their time for Firgun hasn’t come yet. This is such a lovely idea. A lot of us, specially children, do it without a thought and that’s the beauty of it. I’ve certainly seen you practicing it. This is a great way to find peace and happiness because scores of people around you are making you happy with their success. Awww, how this post melts my heart! You are one of those rare people who can get me to gush over parental relationships. Firgun is such a beautiful word. The world needs more of it. Every relationship needs this. Everyone should practice this. What a lovely word – one I have not heard before. It’s a lovely feeling and one that makes you happy to. It’s true that jelousy is one of the most destructive emotions and one that is best avoided if at all possible. 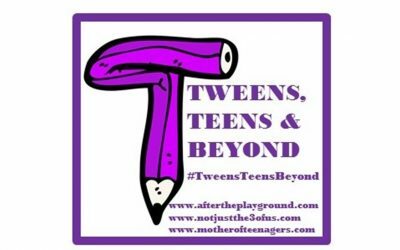 Thanks for sharing such a positive post with us at #TweensTeensBeyond and good luck with the book! A great lesson for me. Thank you for sharing the concept of Firgun. I suppose children are more adept at it, till the time they get influenced by their surroundings. And there shall always be a help at hand, like you, for the good things to come back to life. Shailaja that’s a beautiful one – the word as well as the post. What a beautiful concept! And a lovely word Firgun. I must tell you I feel such jealousies every now and then. More like reading others success stories makes me feel like a loser. Of course, I do feel genuinely happy about their success but not without a little loser feeling. So I take breaks from social media to spare my feelings. One day I might be able to overcome this and be completely Firgun. Did Gy read this yet? She is so lucky to have you as her mother leaving such thoughtful notes for her to read. Thank you very much, Vinitha 🙂 Agreed that it takes practice and a whole lot of learning.